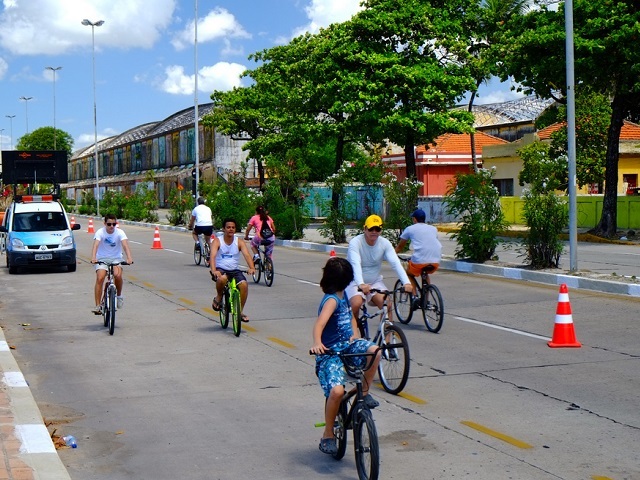 Urban design has a large impact on lifestyle, with bike lanes and pedestrian pathways promoting healthy behaviors for city residents across Brazil. Photo by Raul/Flickr. Cardiovascular disease is one of the leading causes of death worldwide, killing as many as 17 million people each year. Sedentary, inactive lifestyles are a major contributor to this rise in cardiovascular disease – stress, pollution, poor diet, and lack of physical activity mark the lives of an increasingly large number of people around the world. Cities play a pivotal role reversing this trend. Cities with few parks and limited pedestrian space are likely to see higher rates of cardiovascular disease among residents, whereas cities employing more people-centered design can go a long way to create healthier citizens and more dynamic cities. This is the idea behind Cidade Ativa (which translates to “Active City”), a project that promotes active design in Brazilian cities, crafting urban environments that enable healthier lifestyles. The way we live in our cities directly influences the rate of increase for these kinds of ‘lifestyle’ diseases. Most of our cities were built without even a spare thought for pedestrians. No sidewalks, no appropriate places for people to gather outside. This forced people to ride in cars or put themselves in danger skirting along the edges of the street. It’s time to change. And hopefully this change will come soon. But instead of waiting, it is possible for every citizen to contribute to a healthier city in their own way. People can start by first changing how they individually move throughout the city – at work, using the stairs or leaving the car at home for a day can help one realize how easy it is to be active, even without going to the gym. Gradually citizens can turn to helping their neighborhoods create more footpaths, community fitness activities, and parks that will get everyone excited about being active outside. How will you help your city become more active? Let us know in the comment section!